When thinking of a disaster, you normally imagine earthquakes, floods, tornados, landslides, and so on. A disaster is a sudden accident or a natural catastrophe that brings great damage, loss, and disruption. Disasters may happen anywhere and sometimes cover an entire city or even a region. Considering the IT industry, a disaster may also happen because of a human error, equipment malfunction, and malware attacks. The most painful result of disasters is data loss, which may adversely affect your business reputation. Therefore, it is important to have a solution for protecting your data when a disaster strikes. So you need a good, simple, and reliable plan to protect your business from data loss, downtime and, eventually, from profit loss or bankruptcy. Far-seeing companies usually consider two approaches: Business Continuity and Disaster Recovery. Business Continuity is aimed at establishing non-interrupted business operations, including but not limited to the IT. That is, business continuity presumes no downtime. Disaster Recovery, on the other hand, is focused just on bringing up the IT services and may presume a downtime. Now, let’s look closer at these two. Business continuity is the capability of your company to continue services at an acceptable level, following a disruptive accident. Business continuity should identify the essential functions of your business, determining systems and processes that must be sustained. Business continuity takes into account any possible business disruption. The Business Continuity Plan is aimed at the development of procedures that ensure the continuation of your company's mission-critical functions during and after a disaster. To establish the Business Continuity Plan you need to develop certain procedures that will help you continue operation when disaster strikes. In other words, the Business Continuity Plan ensures delivery of key services and products during and after a disaster as well as ensures your business survival. Disaster recovery is a part of Business Continuity and describes how your company’s IT operation can be resumed after a disaster. The overall idea of disaster recovery is to develop a plan that will enable your IT department to have all business-critical systems up-and-running after a disaster. Time is a crucial factor. The faster your IT infrastructure is restored, the quicker you can provide IT services to your service users. In particular, the Disaster Recovery Plan is aimed at restoration of data. VM replication to create identical copies of VMs. Scheduling regular backups with an interval, which is no more than your RPO. 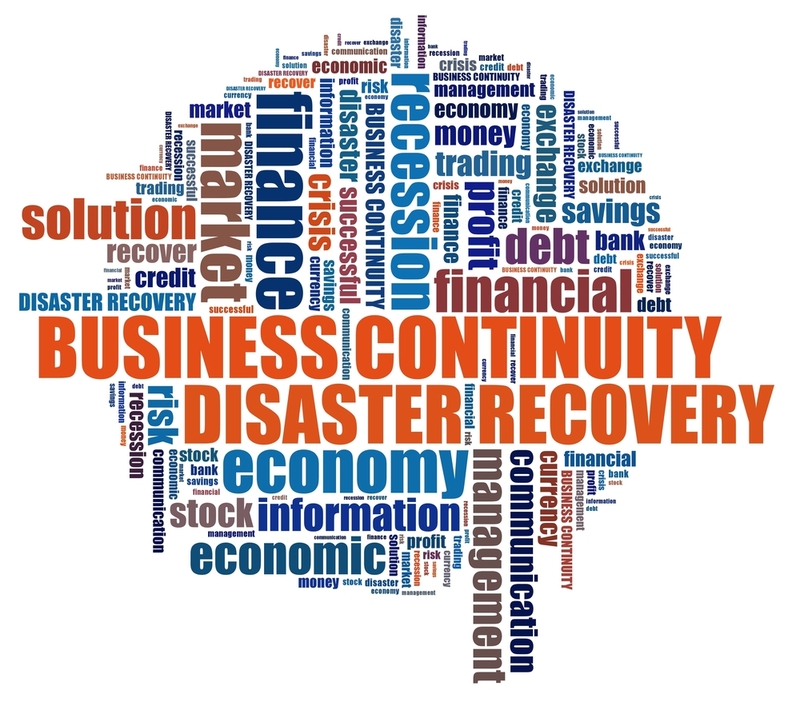 Business Continuity vs Disaster Recovery? Or both? It is important to mention that the Business Continuity Plan is more comprehensive in comparison with the Disaster Recovery Plan. The Business Continuity Plan may include problems with staff (illness or departure of key team members), power failure, hacker attacks and malware infections. It is focused on non-interrupted business operations, describing how your company should be prepared to unexpected risks. Unlike the Business Continuity Plan, the Disaster Recovery Plan is only a part of the business continuity process. It describes specific steps and technical solutions to recover sensitive data within the shortest time span and should actually define the amount of time during which services will be unavailable. Adjust these plans for your business changes.